Race-against-the-clock action contrasted perfectly with time to allow truths to sink in. After their latest adventure (found in "Chasing the Wind"), Peter and Elise Anderson are celebrities - so much so that the king of Denmark himself wants to meet them. But Copenhagen opens up a new adventure for the twins: combine two suspicious Germans, threats to the king's life, and a dogged badgering after an old key, and trouble's bound to happen. When they find a lost German girl wandering about, the Anderson family immediately tries to find out where she belongs; when that isn't determined right away, they take her under their wing temporarily. Peter and Elise watch out for each other and the little girl. Readers probably shouldn't imitate Peter's snooping (for which he is scolded). The Danes are very defensive and patriotic folk. A verse is quoted. Peter prays and reads his Bible. He doesn't publicly say that he was praying during his adventures; Elise scolds him. She tells the king that they had been praying all those times. Peter is upset that he didn't give God credit and wants to pray all the time rather than just in emergencies. 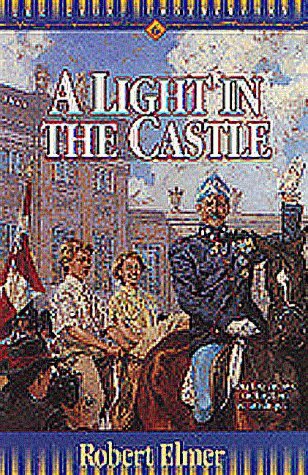 In the quick section of history at the end of the book, King Christian is described as a "light in the castle" for his openness about his faith. Elise's leg is in danger of being snapped by a train; Peter snatches a little girl off a set of tracks. A man grabs Elise's wrist and she falls. Peter is handled roughly. Three characters are painfully bound and gagged. Two lives are threatened. There's a bit of a wild car ride, but no one is hurt. Two men are dog-piled. A woman is hit in some confusion and limps afterward. There is a small explosion (no injury is caused except to a window). Hopefully twelve-year-olds around the world aren't experiencing events such as these, but they are exciting to read about all the same. There is a fast-paced urgency to this tale, but careful attention to the spiritual is definitely not left behind. Peter learns his lesson and puts it into practice at the end, which is very encouraging.